Earlier today, I came across a video on my Facebook feed of 16-year-old Ayrton Little learning that he was accepted into Harvard University. 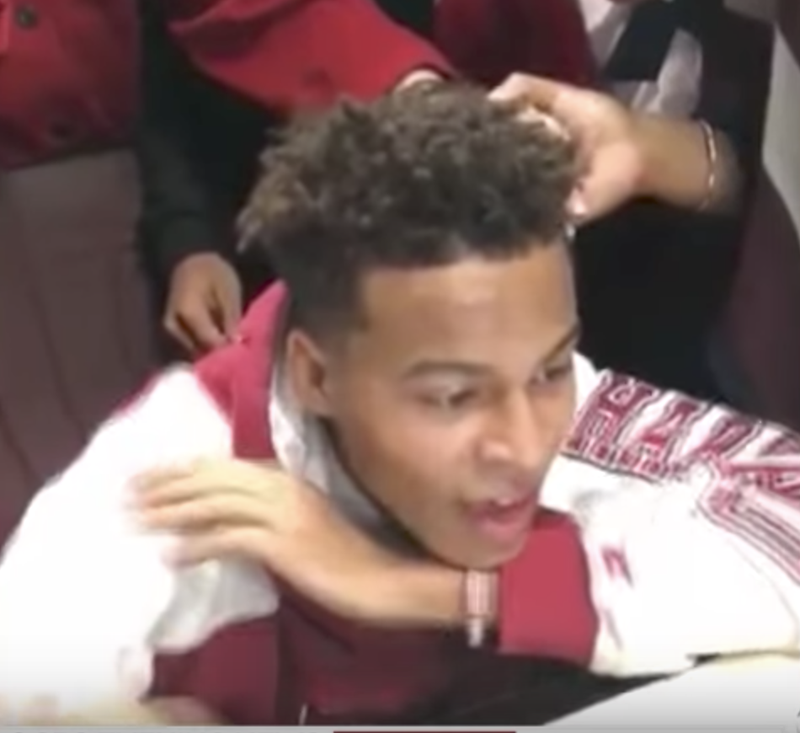 In the video, several of his classmates are in the room with him, and they all erupt with joy when he receives some sort of confirmation on the computer he’s browsing. The clip has apparently gone viral, so perhaps you’ve seen it already. I’m writing about it today, though, because something extremely peculiar is happening to me each time I attempt to view it. As soon as he receives the confirmation and leaps into the arms of his ecstatic friends, a person near me starts chopping onions. I haven’t actually been able to see this person, so I suspect it might actually be an onion-chopping ghost following me around, cutting the onions directly in front of my eyes each time I click on this clip. The onion-chopping ghost is ambitious and sneaky, too. Because after I read this bit from a story about Ayrton’s family, the onion chopping started again! Little, who skipped a grade and turns 17 in February, said taking the video is a ritual for seniors. He also pinned a similar video to the top of his Twitter page of his older brother, Alex, getting accepted into Stanford last Friday. “Is this really happening?” The boys’ mother, Maureen Little, kept repeating the question, delighted that both her sons were invited to the prestigious schools. She said there were difficult times raising her sons as a single mom, but she felt lucky that she never had to worry about their performances in school. “They brought home good grades,” she said. “I think it’s you,” Alex told his mom. She replied with a laugh. She added that when people ask how she raised such bright kids, she credits multitasking. She was a culinary teacher, and that meant her sons often “played school,” helping her prep lessons and meals. And then when I read this next part, I think the ghost just said, “Forget chopping” and shoved the onions right into my eyes! The brothers said another family member motivated them: their youngest brother, who died after an asthma attack five years ago. He would have turned 13 this month. If anyone else has had any experience with the same breed of onion-chopping ghost when attempting to watch this video, please let me know. We need to get to the bottom of this paranormal mystery.